Gall bladder is situated bellow liver. Basic function of gall bladder is to store and concentrate the bile, which is produced in liver. Because of its unique functions, sometimes stones are formed inside the gall bladder. If some of the stone gets stuck at the neck of gall bladder , it can lead to severe infection and pus formation inside gall bladder. Even sometime the stone gets sliped off to the tube with carries bile, which is called bile duct. when this slipped off stone gets stuck inside th bile duct, it leads to blockage of bile passage. That creats a situation called Obstructive Jaundice. Which requires complex treatement.Treatment of Gall Bladder stone is removal of gall bladder with stones. Removal of gall bladder leaves no chance of stone recurrance. Gall bladder removal surgery is done laparoscopically and it is called laparoscopic cholecystectomy. It is safe procedure in experienced hands. Bariatric/obesity surgery also called Metabolic surgery is a way of reducing weight scientifically by laparoscpic method. By this method stomach size is reduced to one third (sleeve gastrectomy) or a stomach pouch is created which is joined directly with intestine to create food by pass. (gastric bypass ). By both these methods there is good weight loss along with much correction of physical problems like breathing difficulty, joint and back pain and much more metabolic correction like diabetes, hypertension, dyslipidemia. obstructive sleep apnoea.With bariatric procedure there will be reduction in calories intake along with reduction in calory absorption also. With these procedure person can loose around 50-100% of excess weight from body. 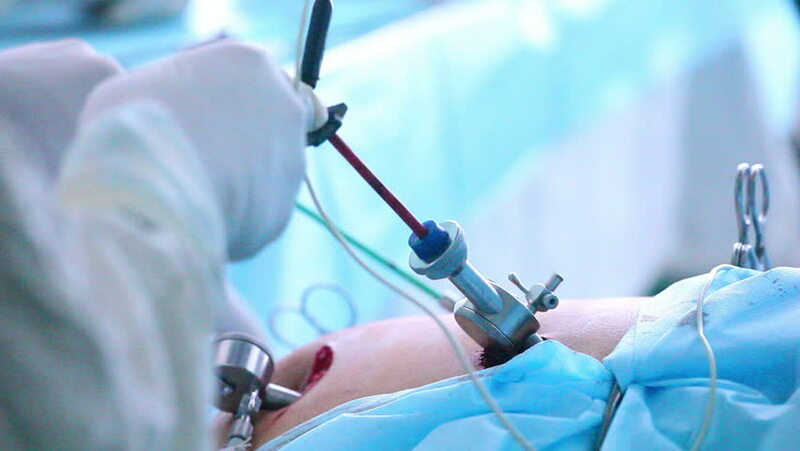 Laparoscopic surgery also referred to as minimally invasive surgery or minimal access surgery describes the performance of surgical procedures with the assistance of a laparoscope, video camera and several thin long cylindrical instruments. During the surgical procedure, CO2 gas is introduced inside the abdominal cavity and small incisions of up to 5 to 10 mm are made. The laparoscopic instruments are placed through these small incisions inside the abdomen to perform surgery.The camera transmits an image of the organs inside the abdomen onto a medical grade monitor. The surgeon is not able to see directly into the patient without the traditional large incision. The telescope becomes a surgeon’s eyes in laparoscopic surgery, since the surgeon uses the image from the video camera positioned inside the patient’s body to perform the procedure.Laparoscopic surgery is now accepted all over world as an important skill and it is no more luxury it is considered as necessity.All the good hospital of world is now equipped with laparoscopic surgery but it is important that surgeon who is doing laparoscopy should be qualified.Benefits of laparoscopic procedures are•	Less post operative discomfort since the incisions are much smaller•	Quicker recovery times•	Shorter hospital stays•	Earlier return to full activities•	Much smaller scars•	There may be less internal scarring when the procedures are performed in a minimally invasive fashion compared to standard open surgery. 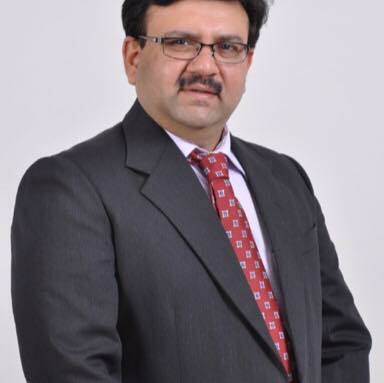 Dr Dushyant Bhatt is an Advanced laparoscopic and Bariatric Surgeon Trained in laparoscopic surgery with Dr T E Udwadia and trained for Bariatric surgery with Dr luv lemmens, Belgium Europe with Special interest in all advanced laparoscopic procedure for Hernia, gall bladder, appendix, stomach, Intestine and colon. 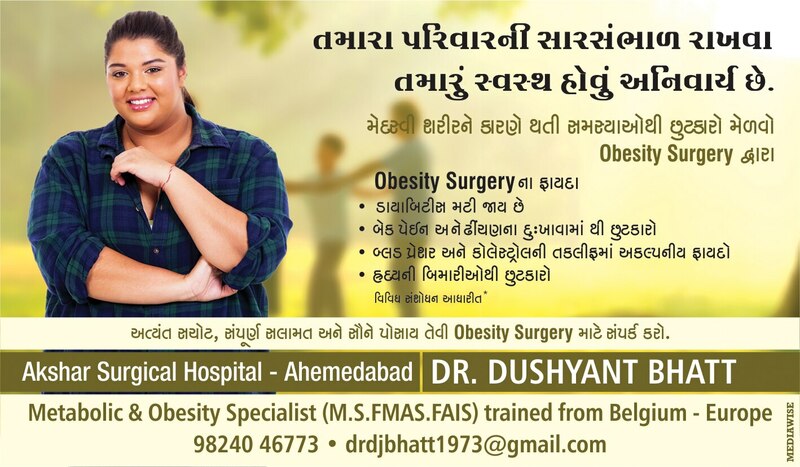 Dr Dushyant Bhatt is also practises Bariatric surgery ( weight loss) is also a major interest and performed successfully hundreds of Bariatric procedure .